"When I think our shirts couldn’t get any better, we make them more luxurious. We took a ‘sky-is-the-limit’ approach to fabric-selection and came up with 140s twill and poplin. I have no words to describe the soft touch, lightness and beauty of these pieces. Even light reflection is better, so, when you’re likely be photographed, these picture-perfect numbers are must-haves." 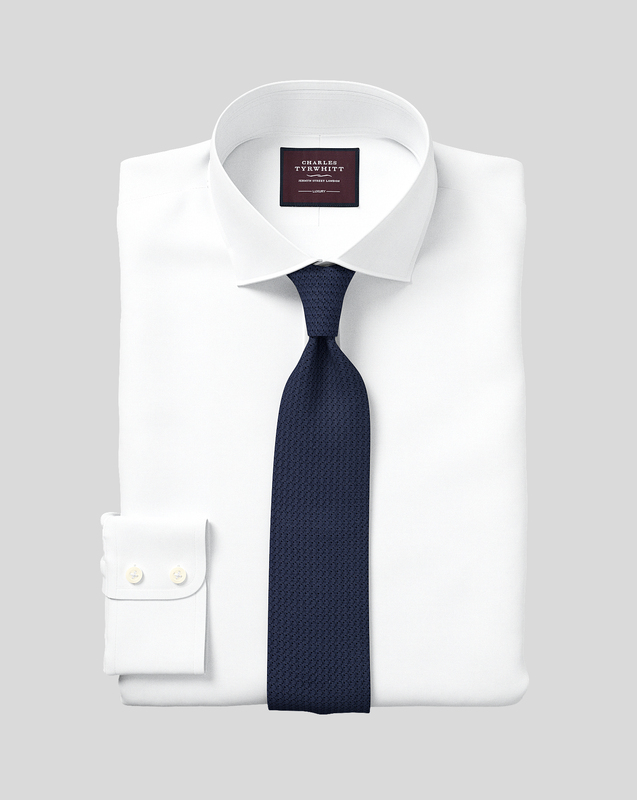 "Made from 140s tightly-woven Egyptian Giza cotton for unique softness, lightness and breathability, this high-luxury shirt is ideal for special occasions." High quality (luxury line) great fit, comfortable to wear.